Future Estate has reached a significant milestone at its $250 million masterplanned Bundoora, Victoria, development, Parc Vue, with construction recently reaching the top level of the first stage of the three building vertical community. Designed by MAP Architecture & Design, Parc Vue construction began in June 2015. The project is unique to the region, offering a significant dedication to landscaped areas, ground floor retail spaces and world class facilities including a health and wellness centre, ground floor restaurant and bar, rooftop ‘sky club’ entertaining area, park-fronting café, as well as bike and storage facilities. The construction of Stage One follows an incredibly successful sales period last year, which saw over 130 apartments sold in quick succession, attracting an unprecedented number of local owner occupiers. Buyers have been drawn to the appealing price break being offered amidst a competitive local market dominated by traditional homes. 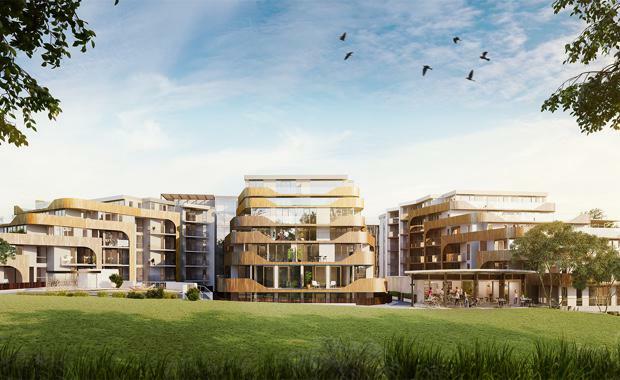 Parc Vue marks the first of five new developments Future Estate will commence construction on this year, with works also slated to commence on its $1 billion Coburg Quarter development.